Bangladeshi model Nadia many days involve with modeling and television drama. Her full name is Nadia Ahmed. Bd model Nadia recently busy with acting many dramas. She has nice tacking to acting. Nadia is a modeling, actress, and a dancer. That why she is very popular Bangladeshi model industry. At present many television channel telecast her acting drama. 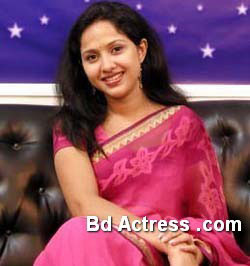 Her famous television drama is Nandini, Suborno Sopna, Mokbul, Projapoti mon, Shayal pndit, Metro etc. 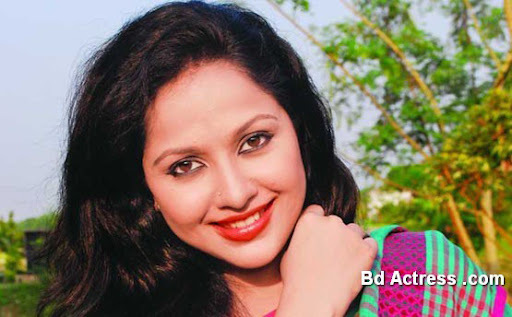 Bangladeshi actress Nadia got third place in Bangladesh television Notun kuri acting completion in the year of 1990. Nadia was a student of Vicarunnessa Nur School and college. After SSC exam she got another opportunity for acting television drama. Her favorite is dance. She spends more time in dance. Nadia has a dance school. Nadia and Lekhon is a popular dance couple. She is married. Her husband profession is business. Nadia cook well. She has wish to acting big screen. Her marriage was love marriage. This is monim from Khilgone,Comments--Mrs Nadia is good artiest of our World.